Microsoft unleashed the Windows 10 operating system in 2015. Within 2 years of its launch, the operating system had delved over 200 million users. The OS has the same number of users as popular social networking websites Twitter and Instagram. Windows 10 provides a beautiful user interface. It is more stable, secure, and reliable than Windows 8.1. The OS ships with a new browser called Edge. It also has the MS Cortana digital assistant. Although Windows OS offers plenty of tools, it lacks many essential features. For example, it doesn’t have a powerful photo editor. It lacks password management features and so on. Composing emails from the desktop. In other words, we’ve listed apps which you’ll use on daily basis. 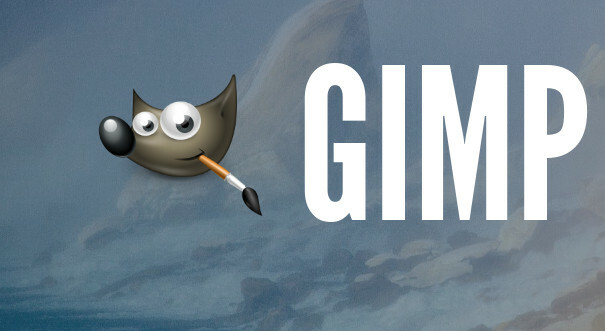 Gimp aka GNU image manipulation tool embraced Windows operating system in 2013. Before 2013, it was available for Linux OS. GIMP is a free software that enables you to play with images. According to experts, it is the best free alternative to Adobe Photoshop, CorelDraw, etc. GIMP has a great interface. It offers over 50 filters and supports customization. The app allows you to select template/canvas type, image dimensions, resolution, etc. It provides auto-enhancement functions and variety of editing tools. Like Photoshop, the free GIMP app for Windows 10 lets you stack and mask layers. It offers path and transformation tools. The default email client app provided with the MS Windows 10 operating system worked like a charm until MS rolled out the anniversary update. After updating the OS to the latest version, the Mail app stopped fetching the latest emails from my Gmail and Outlook accounts. It didn’t show notifications of new emails as well. I removed the Mail app and installed the Mozilla Thunderbird email client app for Windows 10 OS. The software provided by Mozilla doesn’t support Windows 10 notifications yet, but it is a robust tool. You can configure Thunderbird app to minimize in the taskbar. The Thunderbird program lets you compose and send emails without opening the browser. It supports all major email service providers. The app is easy to configure. CCleaner is an ad-free application, with which you can fix various performance issues caused by useless files on the Windows 10 OS powered PC. It is good at detecting unwanted files created by the core processes of Windows 10 and third-party applications. It allows you to remove junk from your PC with one-click of the mouse. CCleaner finds unwanted entries in Windows 10 registry. It then allows you to delete the fake entries in the registry before the performance of the system deteriorates further. When you optimize the registry, the Windows operating system becomes more responsive. Like the above Windows 10 apps, CCleaner is a free program. CC is the best junk cleaner app for Windows 10 OS. Once owned by Sun Microsystems, Virtualbox is a widely used virtualization application. It enables users to run their favorite operating system in a virtual environment. Virtualbox runs ISO files (setup files) in Windows. It uses the exact amount of RAM, storage memory, video memory defined by the users. 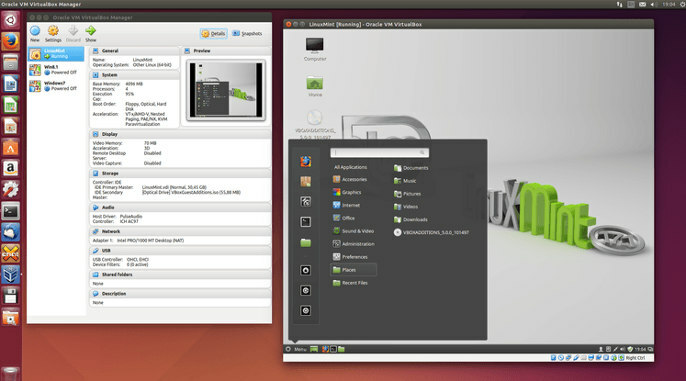 This program supports all distros of Linux and Android M based Remix OS. NPP is one of the best Windows 10 apps to edit documents and files. 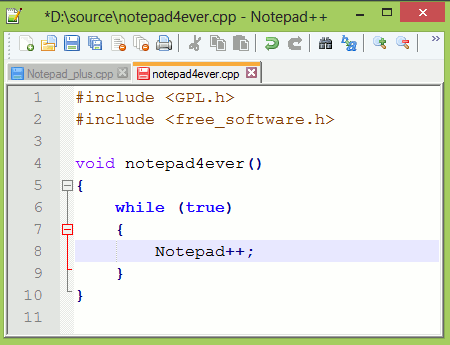 Developers wrote Notepad++ with the C++ programming language. Executable files created with C or C++ execute faster than that written in Java or other structural or object-oriented programming languages. Hence, Notepad++ offers brilliant performance. You can easily open large text files with this free editor for Windows 10. Notepad++ is a system memory friendly app that provides a tabbed interface. It is a robust code editor tool for Windows. It has code aka syntax highlighter module, which highlights pre-defined methods, directives, variables, etc. Notepad++ can remember files you were recently working on. If you close NPP accidentally, the app opens the files you were editing last time. Windows Update Mini Tool is a reliable program. Furthermore, it isn’t as aggressive as the SvHost Windows process which handles Windows updates. WUMT is a tiny application that fetches the list of updates Microsoft rolled out recently. 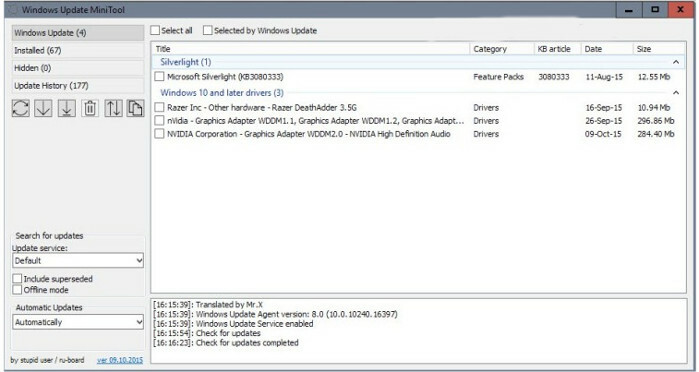 It displays the available updates in a list. Once the app shows the list of updates, the program enables you to download updates you want to apply to your system. The program identifies critical updates. It allows you to pause or resume active downloads. The program saves downloaded updates in a folder which users can easily locate. 7-Zip is a powerful tool, which allows you to compress and extract various types of archives. It supports files created with premium software such as WinZip and WinRAR. 7-Zip lets you create Tar-GZip archives and extract them in Windows. The compression tool supports advanced LZMA and LZMA2 formats which result in smaller files than RAR archives. It supports 256 bits AES encryption algorithm and integration with Windows 10 shell. The app allows users to use its compression and decompression feature in command line mode. KeePass is one of the most secure and powerful free password managers for Windows 10 OS. Unlike other password manager tools available for Windows, KeePass saves passwords of the user in a secure password-protected database. It allows users to save the database to a folder of their choice. The app locks database so as to prevent other users from accessing your passwords. To access it, users must provide a key file and enter the database password. KeePass provides an advanced password generator tool. It can generate 40, 128, and 256 bits password quickly. The passwords created with KeePass are impossible to crack. You can configure KeePass to fill login credentials on your favorite websites automatically. No other application handles PDF files as good as this program. Adobe Reader ships with a variety of tools. It allows you to highlight a line or paragraph in the PDF. AR provides a drawing tool and enables you to attach a file to a PDF. It is one of top Windows 10 PDF apps. QRSS is a user-friendly tool through which you can keep yourself updated with updates from your favorite RSS-enabled websites. Quite RSS allows users to add news feed manually. It allows you to refresh feeds you have added manually. It offers an AdBlocker utility. QRS lets you mark an RSS item as read and unread. You can also mark a news item as important in QuiteRSS. QRS is one of the must-have Windows 10 apps. It is a great alternative to online RSS reader applications. Flux is a simple application that filters intense blue light produced by the desktop monitor or laptop screen. The app detects your location automatically to estimate sunset timing in your region. Flux shows its magic once it finds that sun has set in your country. If you have to remain in front of the computer for over 10 hours, then make sure that you install and enable Flux app for Windows 10.
uTorrent is one of the most downloaded Windows apps of all times. It allows you to download torrent files with great ease. It is a fast and small size application that doesn’t come with upload/download speed restrictions. uTorrent can run in the background. You can configure it to start automatically. The program supports batch downloads and has a superb UI. Apart from the above Windows 10 apps, download Google Chrome browser and install the best Chrome apps for Chromebooks. Windows 10 can recognize the Chrome launcher. Once you install a Chrome, you have click on the launcher to open the Chrome apps.